Use this coupon code to save 10% off the Level II AdaptPrep. Act now and save 10% off Level III from AdaptPrep. 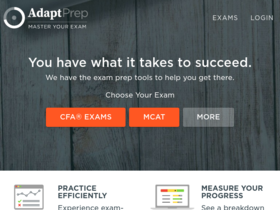 If you take the test and don't pass, you'll get a renewal offer for free with a Complete package from AdaptPrep. Check out AdaptPrep online for their latest special offers.